Designed for the avid angle, this model offers a well thought out and logical feature that will enhance your fishing experience. 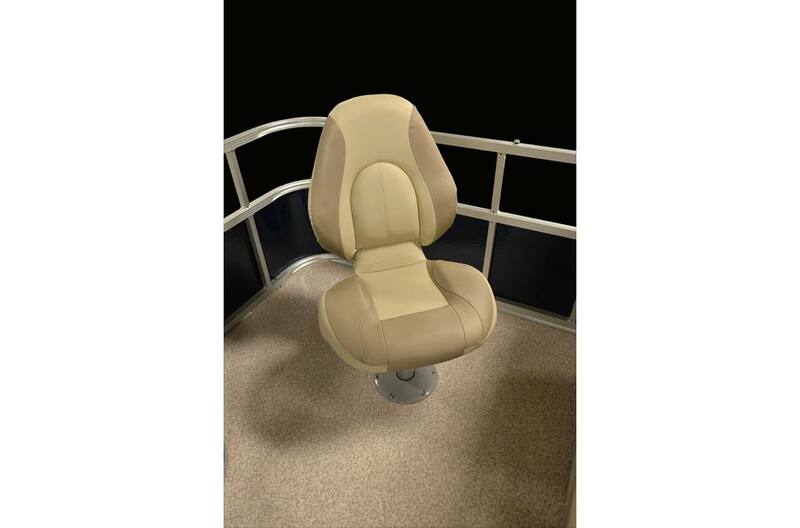 This pontoon features comfortable fishing seats, a 14 gallon aerated livewell and rod holders. 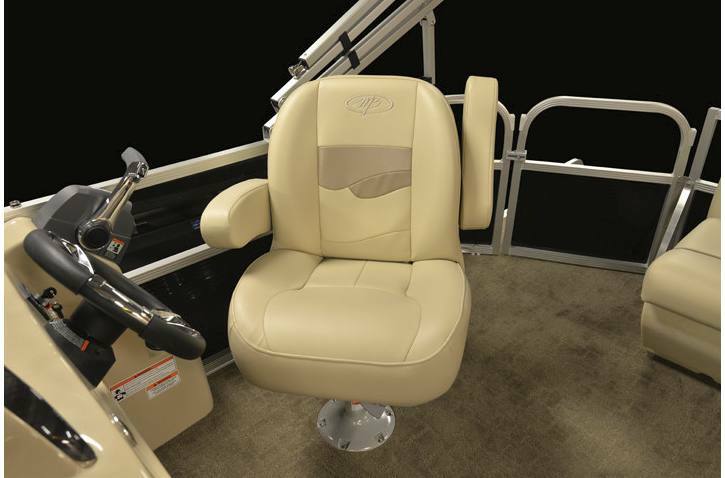 A comfortable helm/console area keeps you in control and allows ample mounting surfaces for vital electronics. 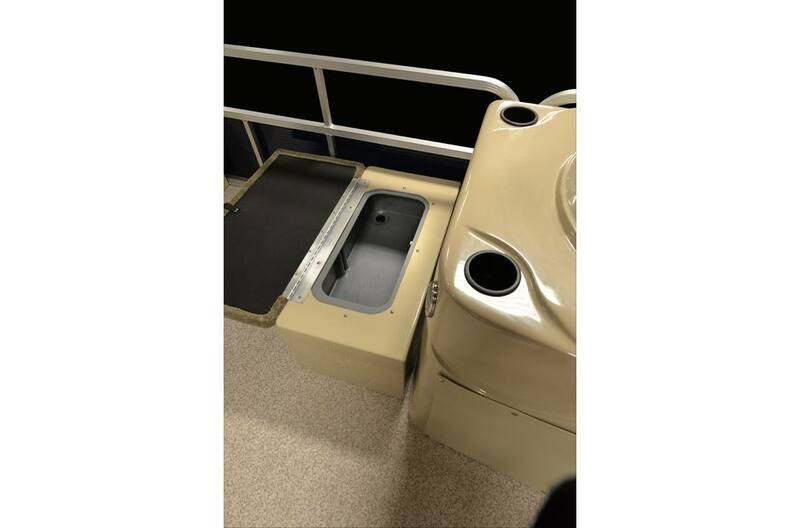 This New 2018 Montego Bay F8518 is Red in color, has upgraded powder coated rails and a vinyl floor. 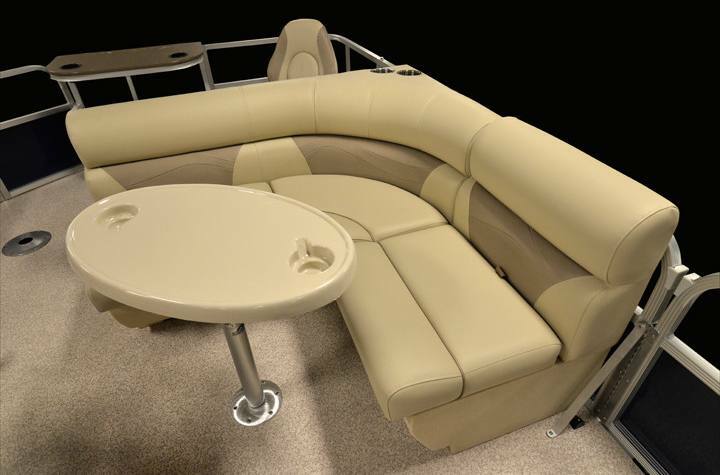 A gauge package (tach & volt), a Hummingbird Piranha Max 4 fish depthfinder, windshield, cupholders and a playpen cover are all options added to this pontoon. 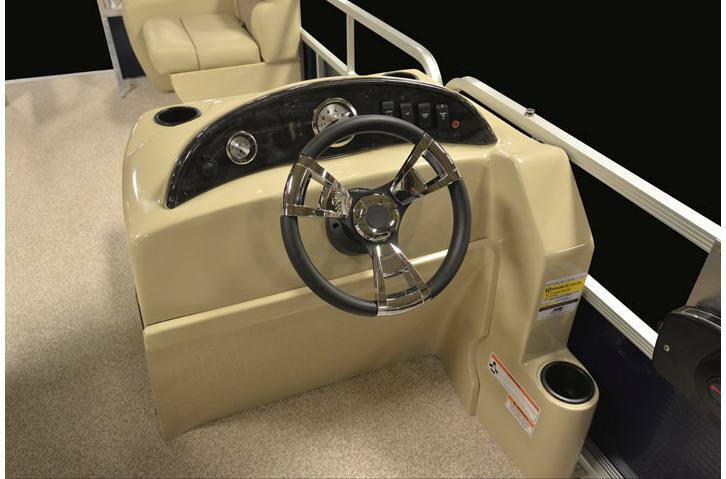 This pontoon is rigged with a 60HP Evinrude outboard and has a sterling V3 BRP systems check gauge. 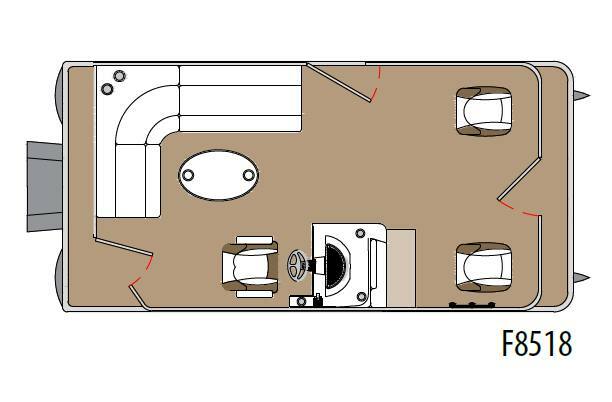 Deck Length: 17 ft. 6 in.